Icelandcloseup.com collects some Personal Data from its Users. Among the types of Personal Data that icelandcloseup.com collects, by itself or through third parties, there are: Cookies, Usage Data, various types of Data, email address, first name, last name and geographic position. Personal Data may be freely provided by the User, or, in case of Usage Data, collected automatically when using icelandcloseup.com. Unless specified otherwise, all Data requested by icelandcloseup.com is mandatory and failure to provide this Data may make it impossible for icelandcloseup.com to provide its services. In cases where icelandcloseup.com specifically states that some Data is not mandatory, Users are free not to communicate this Data without consequences to the availability or the functioning of the Service. Users are responsible for any third-party Personal Data obtained, published or shared through icelandcloseup.com and confirm that they have the third party’s consent to provide the Data to the Owner. The Data processing is carried out using computers and/or IT enabled tools, following organizational procedures and modes strictly related to the purposes indicated. In addition to the Owner, in some cases, the Data may be accessible to certain types of persons in charge, involved with the operation of icelandcloseup.com (administration, sales, marketing, legal, system administration) or external parties (such as third-party technical service providers, mail carriers, hosting providers, IT companies, communications agencies) appointed, if necessary, as Data Processors by the Owner. The updated list of these parties may be requested from the Owner at any time. The Data concerning the User is collected to allow the Owner to provide its Services, as well as for the following purposes: Remarketing and behavioral targeting, Commercial affiliation, Backup saving and management, Traffic optimization and distribution, Data transfer outside the EU, Analytics, Interaction with external social networks and platforms, Displaying content from external platforms, Managing contacts and sending messages, Location-based interactions, Handling payments and Hosting and backend infrastructure. Google Analytics on icelandcloseup.com might use Google’s Interest-based advertising, 3rd-party audience data and information from the DoubleClick Cookie to extend analytics with demographics, interests and ads interaction data. Facebook Ads conversion tracking is an analytics service provided by Facebook, Inc. that connects data from the Facebook advertising network with actions performed on icelandcloseup.com. Google Ads conversion tracking is an analytics service provided by Google Inc. that connects data from the Google Ads advertising network with actions performed on icelandcloseup.com. Google Analytics is a web analysis service provided by Google Inc. (“Google”). Google utilizes the Data collected to track and examine the use of icelandcloseup.com, to prepare reports on its activities and share them with other Google services. Matomo is an analytics software used by icelandcloseup.com to analyze data directly without the help of third parties. Twitter Ads conversion tracking is an analytics service provided by Twitter, Inc. that connects data from the Twitter advertising network with actions performed on icelandcloseup.com. This type of service allows the Owner to save and manage backups of icelandcloseup.com on external servers managed by the service provider itself. The backups may include the source code and content as well as the data that the User provides to icelandcloseup.com. This type of service allows icelandcloseup.com to display advertisements for third-party products or services. Ads can be displayed either as advertising links or as banners using various kinds of graphics. 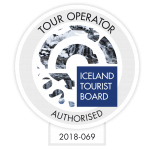 Clicks on the icon or banner posted on the Application are tracked by the third-party services listed below, and are shared with icelandcloseup.com. the transfer is necessary in order to protect the vital interests of the data subject or of other persons, where the data subject is physically or legally incapable of giving consent. In such cases, the Owner shall inform the User about the legal bases the transfer is based on via icelandcloseup.com. This type of service allows you to view content hosted on external platforms directly from the pages of icelandcloseup.com and interact with them. Google Fonts is a typeface visualization service provided by Google Inc. that allows icelandcloseup.com to incorporate content of this kind on its pages. Google Maps is a maps visualization service provided by Google Inc. that allows icelandcloseup.com to incorporate content of this kind on its pages. Instagram is an image visualization service provided by Instagram, Inc. that allows icelandcloseup.com to incorporate content of this kind on its pages. TripAdvisor widget is a content visualization service provided by TripAdvisor LLC that allows icelandcloseup.com to incorporate content from that external platform on its pages. Vimeo is a video content visualization service provided by Vimeo, LLC that allows icelandcloseup.com to incorporate content of this kind on its pages. YouTube is a video content visualization service provided by Google Inc. that allows icelandcloseup.com to incorporate content of this kind on its pages. Payment processing services enable icelandcloseup.com to process payments by credit card, bank transfer or other means. To ensure greater security, icelandcloseup.com shares only the information necessary to execute the transaction with the financial intermediaries handling the transaction. This type of service has the purpose of hosting Data and files that enable icelandcloseup.com to run and be distributed as well as to provide a ready-made infrastructure to run specific features or parts of icelandcloseup.com. Some of these services work through geographically distributed servers, making it difficult to determine the actual location where the Personal Data are stored. This type of service allows interaction with social networks or other external platforms directly from the pages of icelandcloseup.com. The interaction and information obtained through icelandcloseup.com are always subject to the User’s privacy settings for each social network. It is recommended to log out from the respective services in order to make sure that the processed data on icelandcloseup.com isn’t being connected back to the User’s profile. Icelandcloseup.com may collect, use, and share User location Data in order to provide location-based services. Most browsers and devices provide tools to opt out from this feature by default. If explicit authorization has been provided, the User’s location data may be tracked by icelandcloseup.com. This type of service allows icelandcloseup.com and its partners to inform, optimize and serve advertising based on past use of icelandcloseup.com by the User. AdWords Remarketing is a remarketing and behavioral targeting service provided by Google Inc. that connects the activity of icelandcloseup.com with the Adwords advertising network and the Doubleclick Cookie. Facebook Custom Audience is a remarketing and behavioral targeting service provided by Facebook, Inc. that connects the activity of icelandcloseup.com with the Facebook advertising network. Facebook Remarketing is a remarketing and behavioral targeting service provided by Facebook, Inc. that connects the activity of icelandcloseup.com with the Facebook advertising network. Twitter Remarketing is a remarketing and behavioral targeting service provided by Twitter, Inc. that connects the activity of icelandcloseup.com with the Twitter advertising network. This type of service allows icelandcloseup.com to distribute their content using servers located across different countries and to optimize their performance. Which Personal Data are processed depends on the characteristics and the way these services are implemented. Their function is to filter communications between icelandcloseup.com and the User’s browser. The way Cloudflare is integrated means that it filters all the traffic through icelandcloseup.com, i.e., communication between icelandcloseup.com and the User’s browser, while also allowing analytical data from icelandcloseup.com to be collected. Valitor hf. is an international payment service provider in Iceland, which allows Users to make online payments. Emarky B.V. operates services branded Connectio and Upviral. These services make it possible to create and manage giveaways, contests and sweepstakes along with providing Facebook marketing tools. Including but not limited to remarketing, behavioral targeting and collection of email contacts, phone contacts or any other informaion to communicate with the User. Bókun ehf. provides suppliers and resellers of services in the tourism industry, including but not limited to tours & activities, attractions, accommodation, car rentals, transport and any type of event. Whenever you book any of the previously mentioned services through icelandcloseup.com Bokun handles the transaction between icelandcloseup.com and the service supplier. When some or all of your trip is to be provided by other service providers such as tour guides, hotels or transportation companies, then those service providers may be separate “data controllers” under European Union data protection law. In that case, any other controllers of your personal information will be identified in the booking process. Their privacy policies will be accessible from them directly. We use Woocommerce to handle orders other than travel related activities and tours through our online store. We collect information about you during the checkout process on our store. The Owner of icelandcloseup.com may have legitimately collected Personal Data relating to Users without their knowledge by reusing or sourcing them from third parties on the grounds mentioned in the section specifying the legal basis of processing. The Personal Data collected to complete the payment may include the credit card, the bank account used for the transfer, or any other means of payment envisaged. The kind of Data collected by icelandcloseup.com depends on the payment system used. Users declare themselves to be adult according to their applicable legislation. Minors may use icelandcloseup.com only with the assistance of a parent or guardian. Under no circumstance persons under the age of 13 may use icelandcloseup.com. The User’s Personal Data may be used for legal purposes by the Owner in Court or in the stages leading to possible legal action arising from improper use of icelandcloseup.com or the related Services. For operation and maintenance purposes, icelandcloseup.com and any third-party services may collect files that record interaction with icelandcloseup.com (System logs) use other Personal Data (such as the IP Address) for this purpose. Icelandcloseup.com does not support “Do Not Track” requests. Information collected automatically through icelandcloseup.com (or third-party services employed in icelandcloseup.com), which can include: the IP addresses or domain names of the computers utilized by the Users who use icelandcloseup.com, the URI addresses (Uniform Resource Identifier), the time of the request, the method utilized to submit the request to the server, the size of the file received in response, the numerical code indicating the status of the server’s answer (successful outcome, error, etc. ), the country of origin, the features of the browser and the operating system utilized by the User, the various time details per visit (e.g., the time spent on each page within the Application) and the details about the path followed within the Application with special reference to the sequence of pages visited, and other parameters about the device operating system and/or the User’s IT environment. The individual using icelandcloseup.com who, unless otherwise specified, coincides with the Data Subject. The natural or legal person, public authority, agency or other body which, alone or jointly with others, determines the purposes and means of the processing of Personal Data, including the security measures concerning the operation and use of icelandcloseup.com. The Data Controller, unless otherwise specified, is the Owner of icelandcloseup.com. The service provided by icelandcloseup.com as described in the relative terms (if available) and on this site/application.